Cinnamon (Cinnamomum cassia) is a member of the Lauraceae (Laurel) Family. This spice helps dry dampness in the body and warms individuals that are always cold and suffering from poor circulation in the body. Use cinnamon sticks in warm beverages such tea, coffee and warm lemon water. For those who suffer from winter’s aches and pains, cinnamon combined with honey have been found to relieve arthritis pain. 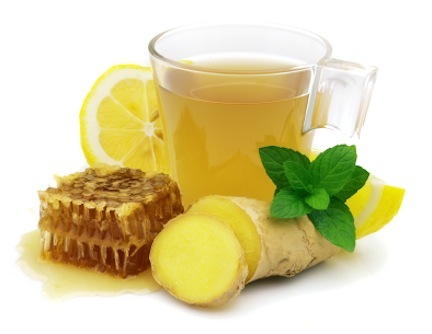 Ginger (Zingiber officinale) warms the body naturally by getting the blood in your blood flowing. As you eat or drink some of this spicy root, there’s a feeling of having more energy, and can help you with any feelings of sluggishness or fatigue. It’s a great thing to drink if you live in a cold climate, because it will provide the sort of warmth you’re really after, the kind that comes from the inside and radiates out. This is because it is opening your pores and getting your overall circulation functioning better. 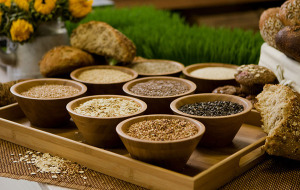 Whole grains, such as oatmeal (Avena sativa) and brown rice (Oryza sativa), give immediate warmth to your body. In additon, they naturally provide needed complex carbohydrates to fuel the body’s engine. Peanuts (Arachis hypogaea) are a good source of Coenzyme Q10, which protects the heart during the period of lack of oxygen during winter seasons. Since they are obtained from the ground, they are also sometimes called as groundnuts. They are easily available round the year. Peanuts are also taken as snacks in many households especially in India. In reality, peanuts are actually legumes, or beans. However, since they have a lot of properties similar to nuts, peanuts are included in the nut family. Millet (Pennisetum glaucum),is often associated as the main ingredient in bird seed, however it is not just “for the birds.” We can benefit from this versatile food which naturally warms the body and is best served during cold and rainy weather. When cooked, it can be creamy like mashed potatoes or fluffy like rice. Millet is a delicious grain that can accompany many types of food. Millet is considered to be one of the least allergenic and most digestible grains.